We are Creatures of Basic Needs! It’s amazing how many adults operate from schedules that deny them their most basic, primal needs, creating additional stress on top of life’s normal challenges. While we may fancy ourselves as sophisticated beings, not everyone has developed the skills to recognise when they’re tired or hungry, for example, which makes it harder to actually meet their own need for rest or nourishment. If your needs weren’t consistently met in childhood, or you didn’t learn to properly self-soothe, you will continue to override your basic needs in adulthood. Learning to tune into your needs, and to meet them, can require conscious effort and commitment for some people. If your daily life is at odds with your particular core needs, it will likely add to your stress, drain your energy, and lead to constant striving and straining. This keeps you stuck in survival mode rather than thriving. Shaping a daily schedule that supports you to stay connected with yourself, and that meets your basic needs – emotional, psychological and physical – is vital foundation to everything else. Read more on this here, and download my free template on shaping your ’10 Daily Habits for Flourishing’. It’s hard to have good communications with loved-ones or colleagues, for example, or to problem-solve in your job, or express your creativity in a sustained way, if your basic bodily needs have not been met! It’s so obvious. So why do we ignore it? If a child gets cranky or out of sorts, we look straight to their basic needs to resolve it, checking if they need sleep, food, physical comfort, or human attention and connection to be soothed. It seems we have forgotten that adults have these basic needs too, along with all our more sophisticated needs and endeavours. Often this overriding of our needs can lead to unhealthy ways of soothing the emotional or physical distress that builds up, via things like over-working, over-stimulation, or numbing out with food, alcohol, drugs or Netflix. Perhaps the simpler, more nurturing solutions don’t have the same instant appeal, or seem too simple to work. Yet, over time as well as instantly, they can have a powerful impact on improving energy levels and quality of life. What would your life look like if you got enough sleep? How would your life be different, if you got enough sleep most nights of the week? What would become easier? And what would you do with the extra energy? Do you even know how many hours you actually need, to feel rested and restored? What emerges, if you take a couple of minutes to imagine how your life would look, if you actually woke up feeling well-slept most days..? ~ Ridiculous, perhaps, but so often true! While there is endless research and advice available on optimal hours of sleep, ultimately only you know how much you need in order to feel well. Though the ‘8 hours’ norm is assumed by many to be the goal, if you follow the 90-minutes average sleep cycle guideline, you may feel quite sprightly after 7.5 hours’ sleep, and groggy after 8 or more. Or, you may need 9 full hours’ sleep most nights, if you have a tiring job, or if you have a sensitive nervous system and get easily tired or over-stimulated. Only you can tell, after testing it out and observing how you feel. Read more here on sleep hygiene tips, from a colleague, Nicole Paulie, who specialises in therapeutic lifestyle changes for wellbeing. What about your other basic needs? Busy workplaces, multiple commitments and hectic schedules that are the cultural norm, can mean pople feel they have to cut off from the signals their bodies are sending, in order to get through the day. As a result, however, they skip past tending to their most important physical or emotional needs, and ignore them until their bodies start screaming at them, often via various syndromes and symptoms. As described in the video, we can be very resistant admitting that the solution to our distress may, in fact, be quite simple! 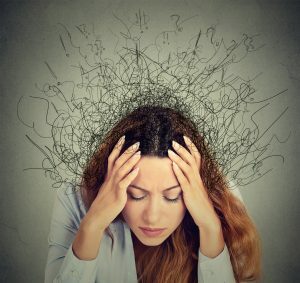 When caught up in a week of emotional overwhelm and pressures at work, for example, this can spiral into poor eating habits, low energy, self-doubt, or a negative mindset, which in turn generates more distress. At times like these, we can overlook the simple truth that, making a few changes to our schedules to ensure our basic are met, can make all the difference. So what changes might need to be made in how you address your basic needs in daily life? Check out my piece on 10 Daily Habits for Flourishing, and download your free template to shape your own best foundations for more energised and fulfilling living. ‘The December Busy’: there is another way! Congratulations! 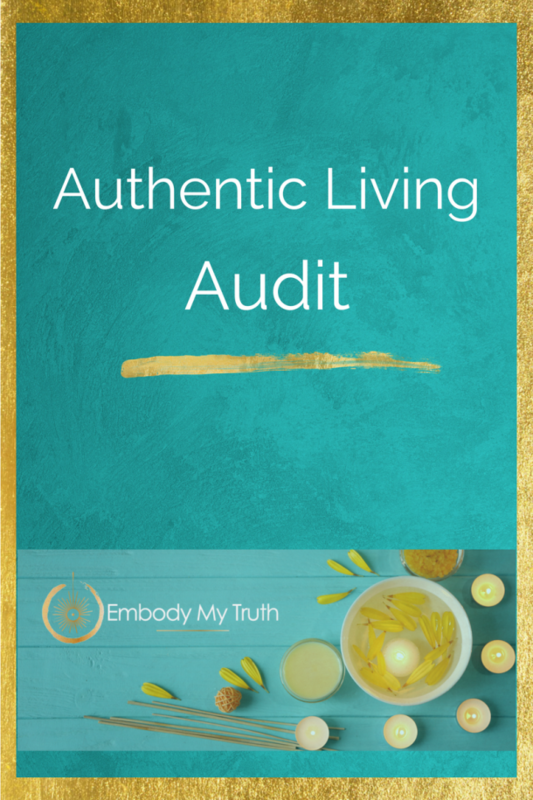 Your Authentic Living Audit is on it's way to your inbox!